【Durable, Safe And Secure】 Made of superior quality material, considerate design makes it can catch the headrest tightly while the car is moving. The mount attaches firmly to the headrest posts of your vehicle, and constructed from long-wearing and stain resistant elasticated Velcro with metal clips to hold your portable entertainment device securely in place. 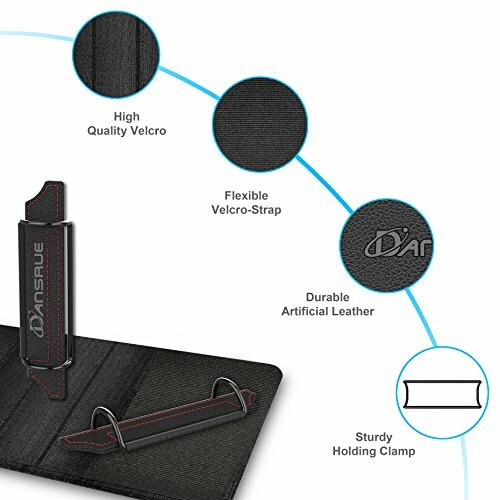 【Adjustable and Detachable】 Adjustable strap allows for quick and secure mounting to almost any car’s headrest. 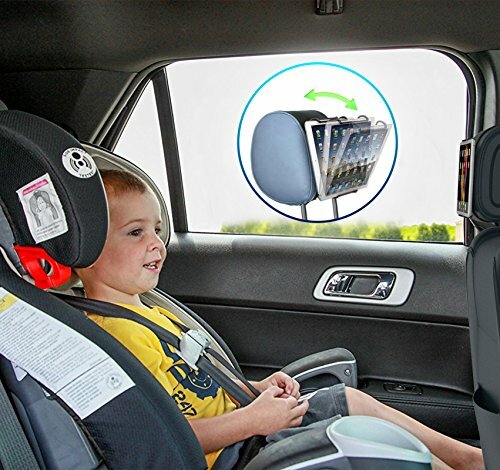 And Tablet PC can be removed easily and securely form the headrest for maximum in-vehicle convenience. Especially suitable for Children quickly learn how to mount and remove their Tablet PCs. ❀ Universal, Easy and Simple installation. ☞ Effortless installation and easily secure to headrest without special tools. 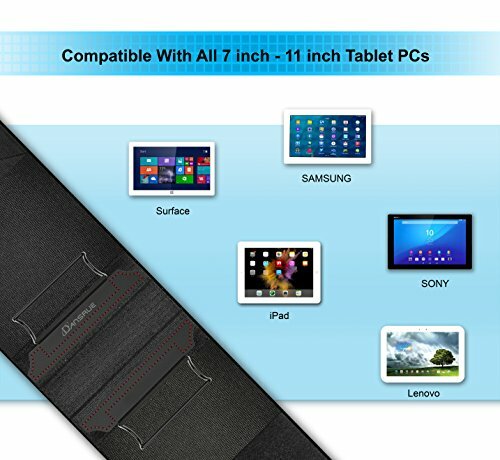 Works well with all iPad & Samsung Tablets as well as other 7 inch – 11 inch Tablet PCs. ☞ Made of superior quality material, considerate design makes it can catch the headrest tightly while the car is moving. 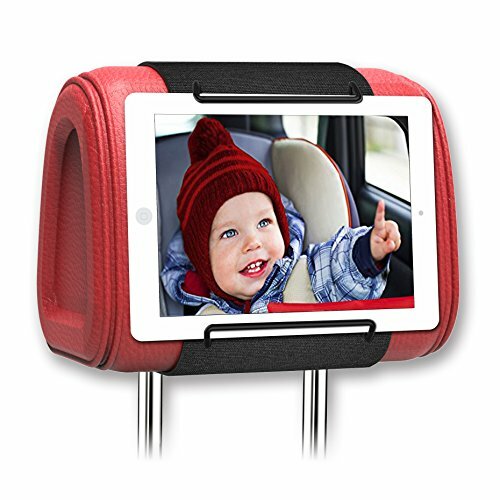 The mount attaches firmly to the headrest posts of your vehicle, and constructed from long-wearing and stain resistant elasticated Velcro with metal clips to hold your portable entertainment device securely in place. ☞ Adjustable strap allows for quick and secure mounting to almost any car’s headrest. 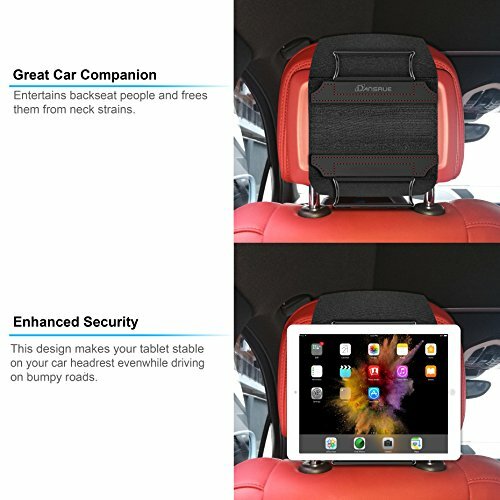 And Tablet PC can be removed easily and securely form the headrest for maximum in-vehicle convenience. Especially suitable for Children quickly learn how to mount and remove their Tablet PCs. 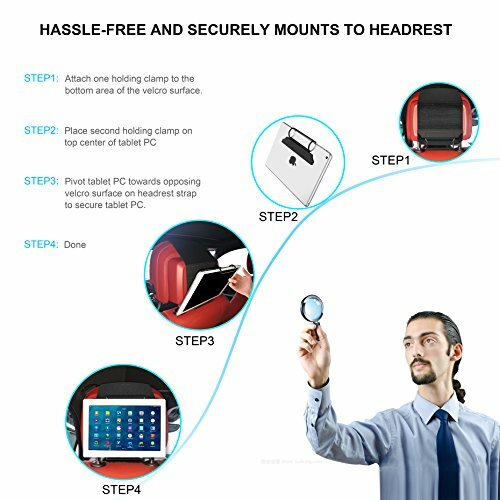 ☞ Unique design for the trend which most people are likely to use tablet PC on car headrest . Light weight and mini size, easy to carry, simple stowing in your vehicle when not in use. Perfect for use in rental vehicles or a friend / relative’s car. ☞ Greatly convenient to hold the tablets at the headrest and facilitate the passengers to play at the back seat. Dansrue warrant this item 12 MONTHS and 30 Days of easy returns from date of the original purchase for manufacturer defects. If the item fails due to a manufacturing defect, please contact seller directly to initiate return and warranty process. 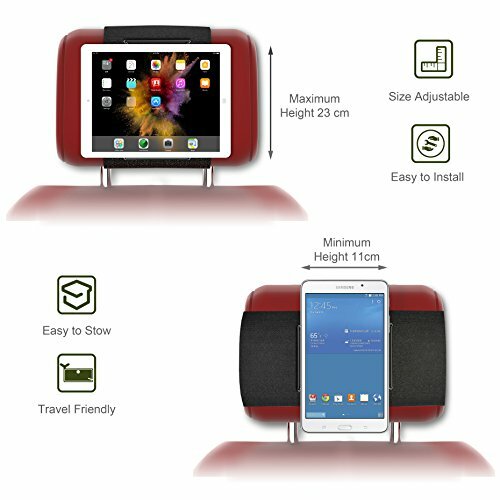 【Great for Travel】 Unique design for the trend which most people are likely to use tablet PC on car headrest . Light weight and mini size, easy to carry, simple stowing in your vehicle when not in use. Perfect for use in rental vehicles or a friend / relative’s car. 【Worry-free Purchase】 Greatly convenient to hold the tablets at the headrest and facilitate the passengers to play at the back seat. Dansrue warrant this item 12 MONTHS and 30 Days of easy returns from date of the original purchase for manufacturer defects. If the item fails due to a manufacturing defect, please contact seller directly to initiate return and warranty process.